Rox Energy Drink found a new way to draw some attention with these hilarious eye covers. With the sudden surge of energy drinks on the market, it has become essential to stand out in the crowd. Recently ROX has found a great way to draw in some attention. 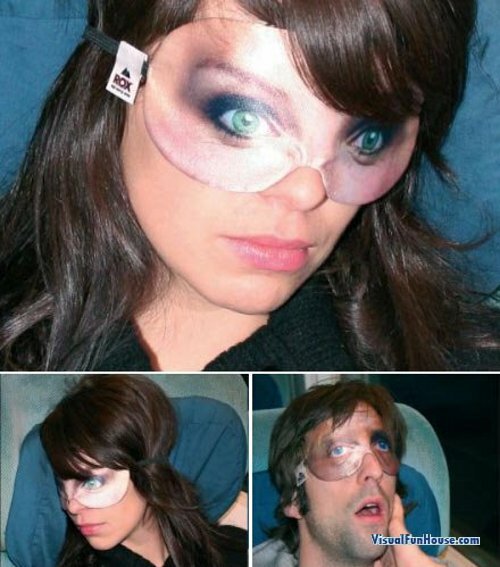 Rox distributed these painted eye covers to train passengers on one of their latest promotions. I don’t know about you but it would be hard not to laugh seeing a train car full of people wearing these! They may be sleeping but you would never know it.